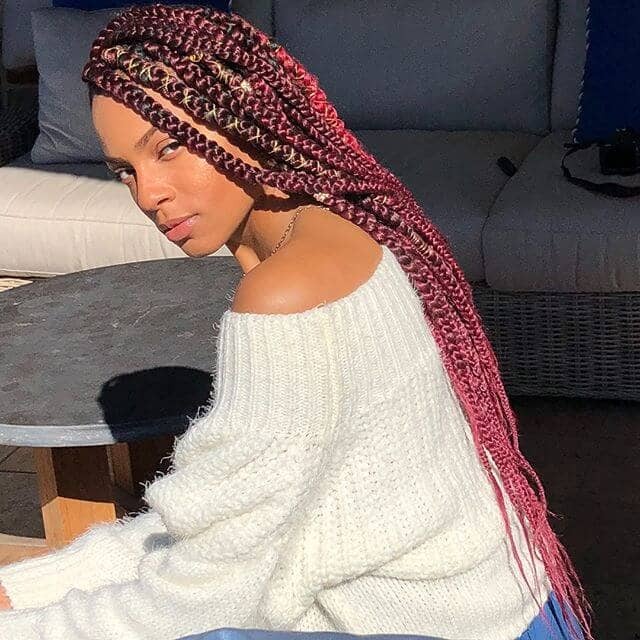 When it comes to styled hair, crochet braids are notoriously trending and it looks like they’re here to stay. 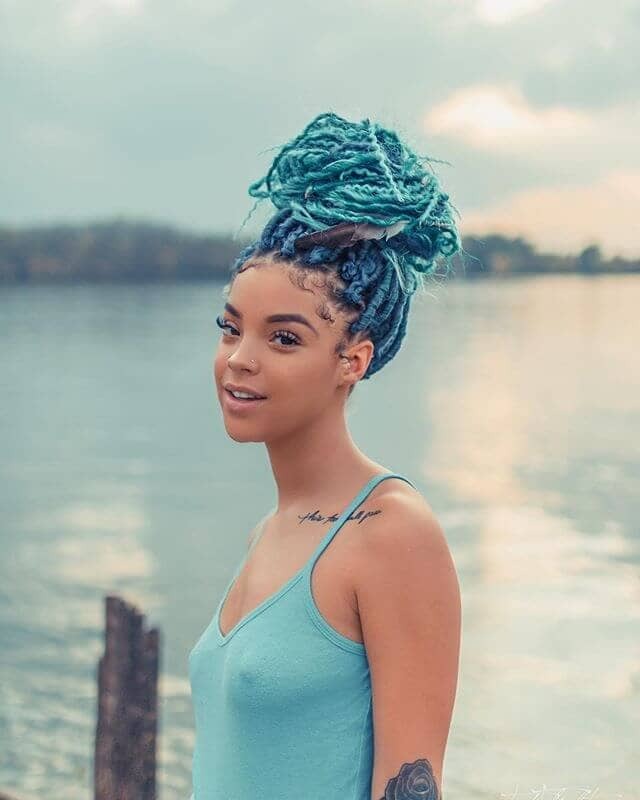 For anyone looking for a fresh hairstyle that will undoubtedly garner compliments from a crowd, this crochet hair is one that you should consider. 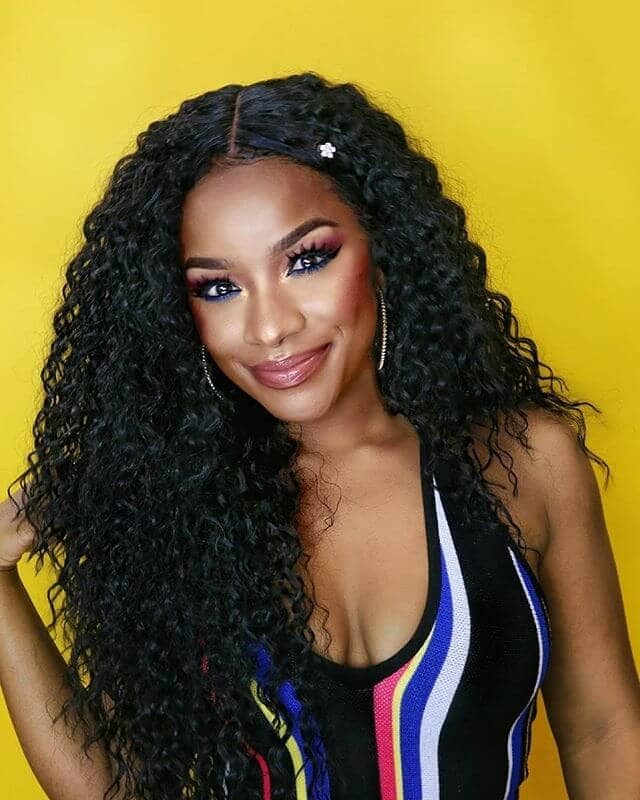 Although the crochet hairstyle trend really started in the 1990s, 2018 is keeping in tune with its throwback fashion by incorporating this flattering look into current styles that constantly grace the magazines and other media. 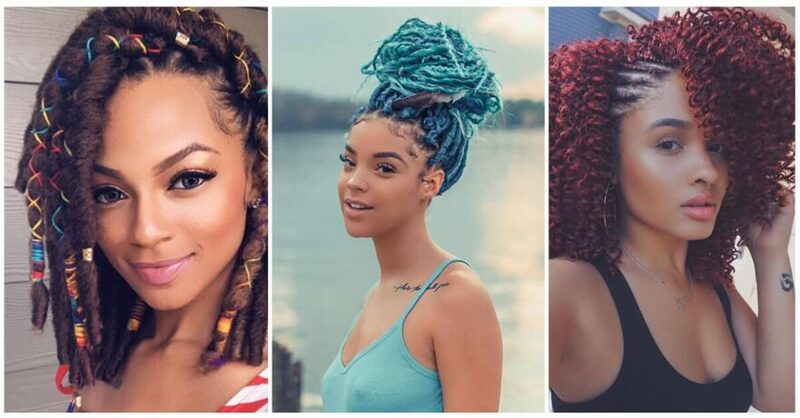 The irony, however, is the fact that these crochet styles can look mesmerizingly real despite being nothing more than hair extensions attached to natural hair. In addition to being modish, crochet braids are exceptionally easy to accomplish and are low maintenance afterward. The customization options are unlimited since everything from the length, colors and textures can be varied according to personal preference, allowing you to express your unique style. 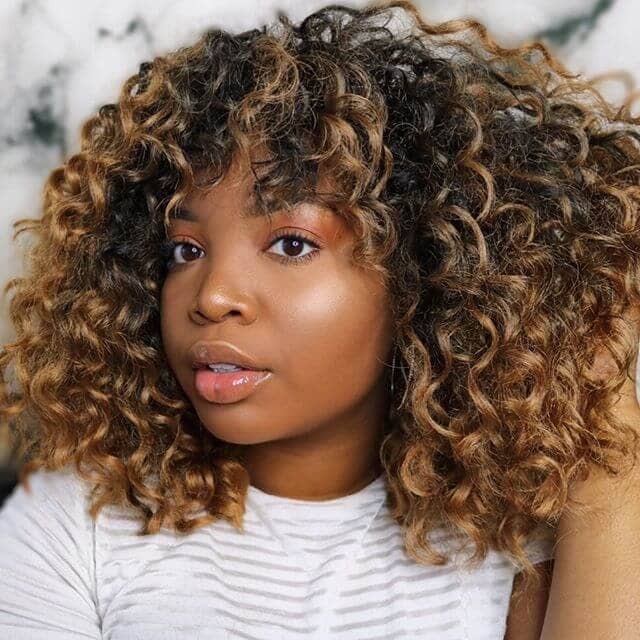 Another perk to this style is that it protects the integrity of natural hair, rather than the usually irreversible damage that results from chemical straightening. 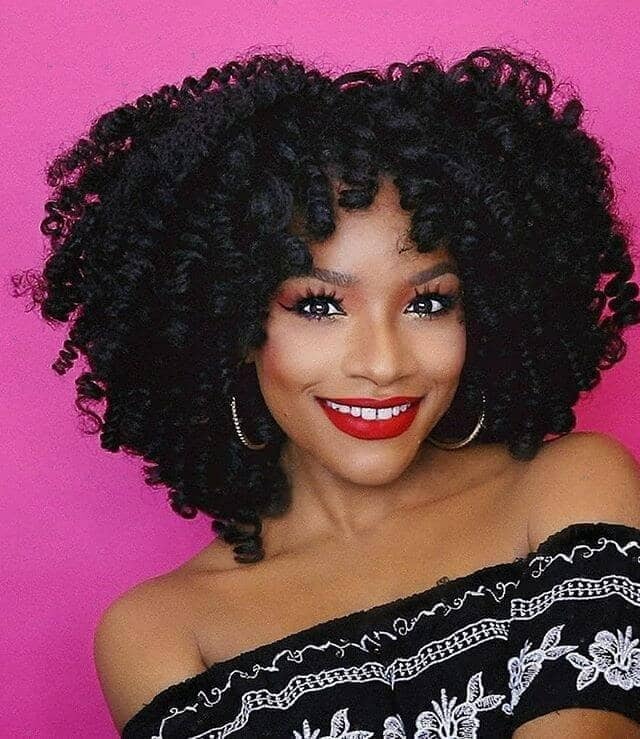 This makes crochet braids the perfect hairstyle for when you want to give your natural hair some well-deserved rest. This look relies on your natural hair to step in as the foundation for the choice of extensions. 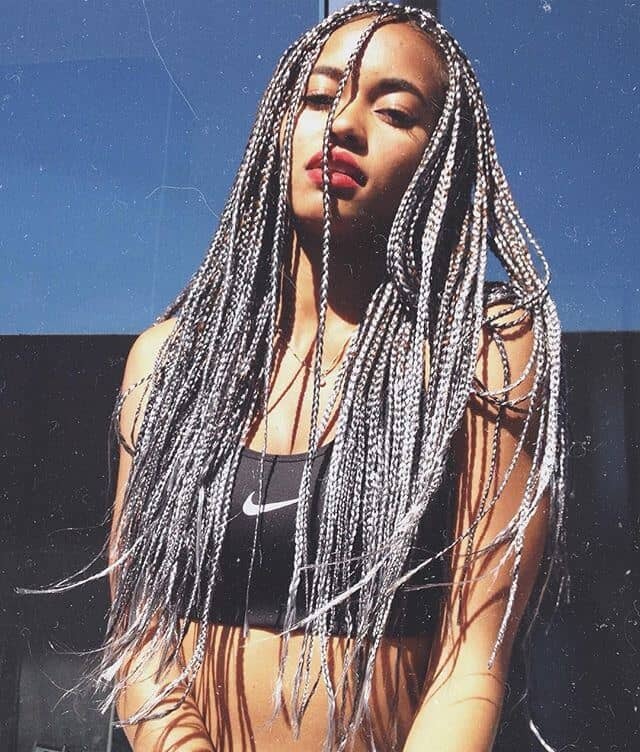 Typically, the natural hair is braided into cornrows. Then, the choice of hair extensions is carefully looped through the cornrows via a crochet needle. The process in itself explains the name of this particular style. Although the process sounds simple enough, the results are far from basic. 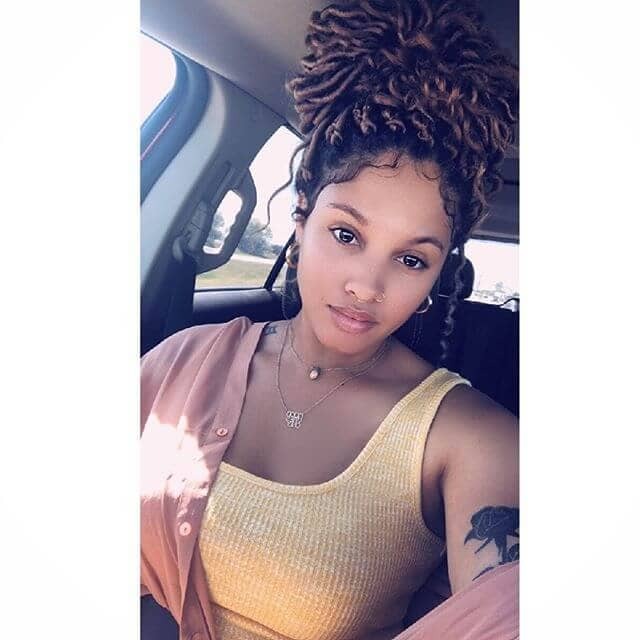 The hairstyle is only so popular because of how easy it is to achieve, allowing it to fit into the lifestyles of even the busiest women who still enjoy taking care of themselves. However, the options can be overwhelming and you may not know where to start. 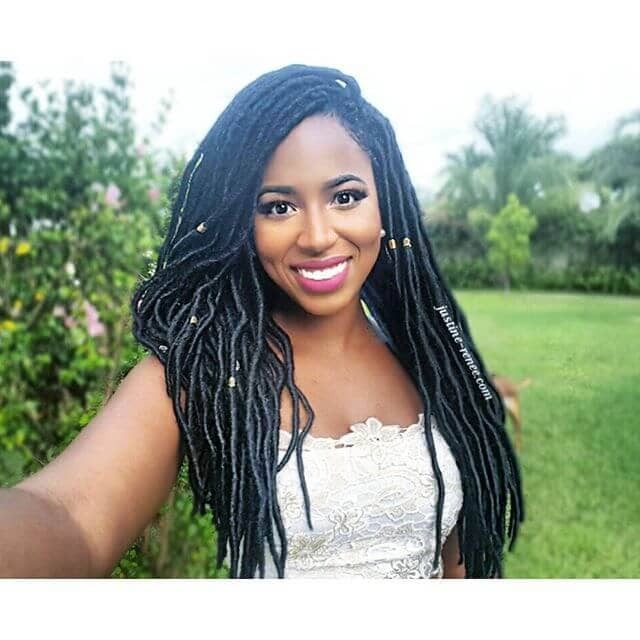 Here are fifty lovely hair ideas of crochet braids hair for inspiration! 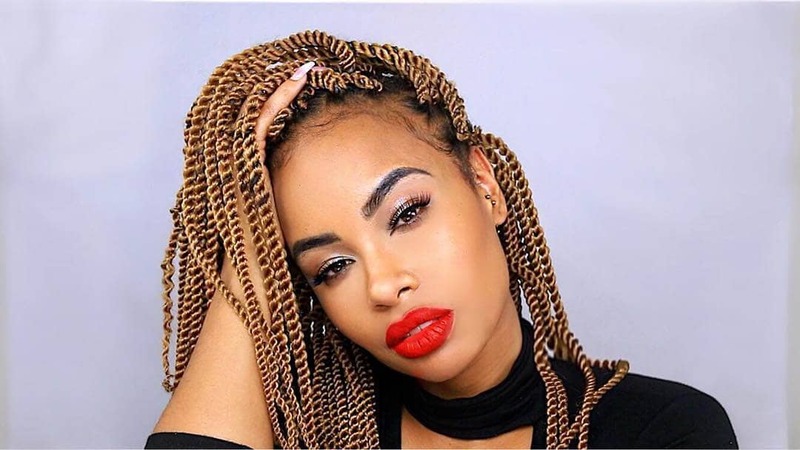 A more feminine and sophisticated version of box braids hair, this sleek crochet braids hair gracefully frames any face shape and can also be pulled back into a ponytail for those who prefer their hair to be out of their face. Add in beads and other hair accessories to elevate the look to a playful level! This beautiful and wavy crochet hair falls naturally with inherent volume that doesn’t need the product to liven up. For those with fierce and wild spirits, this style can become your own personal mane without the maintenance. 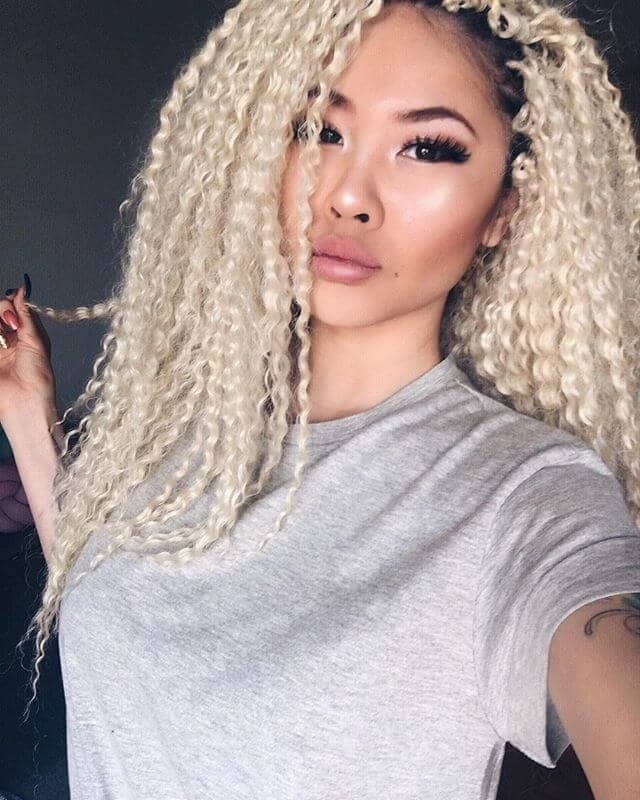 You can play around with the level of crimp that you’d like, but the more curls there are, the more volume you’ll get from these crochet locks. These Bohemian locks play tribute to the islands, complete with the tropical beaded look and classic twists. This fun hairstyle is a perfect match for those who are playful and chill. The dramatic side part makes this a nice photo-ready look for any night out or a head turner on afternoons running errands. 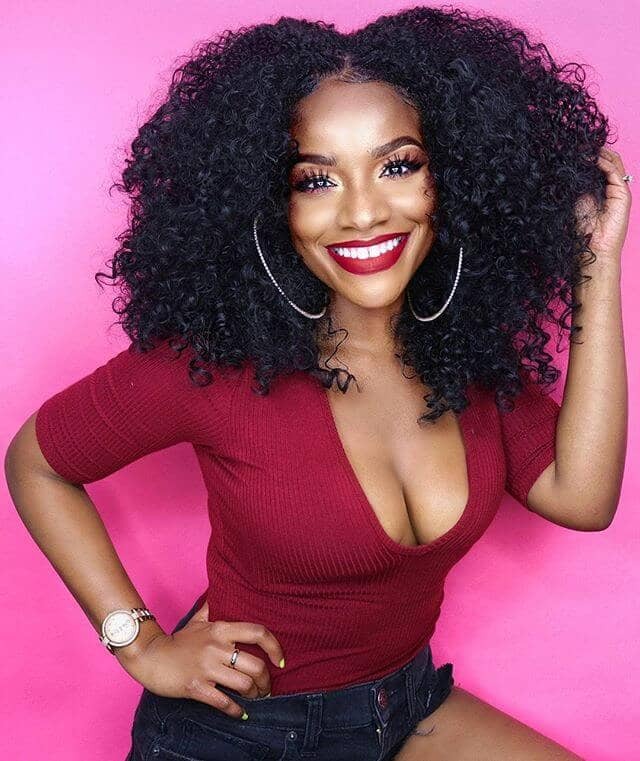 These adorable curls have all the bounce without the frustrating tangles and responsibilities that come with having naturally curly hair. The shorter length makes maintenance even easier and accentuates the volume of this particular style. This hairstyle also has a face-slimming effect for those who would prefer that look. 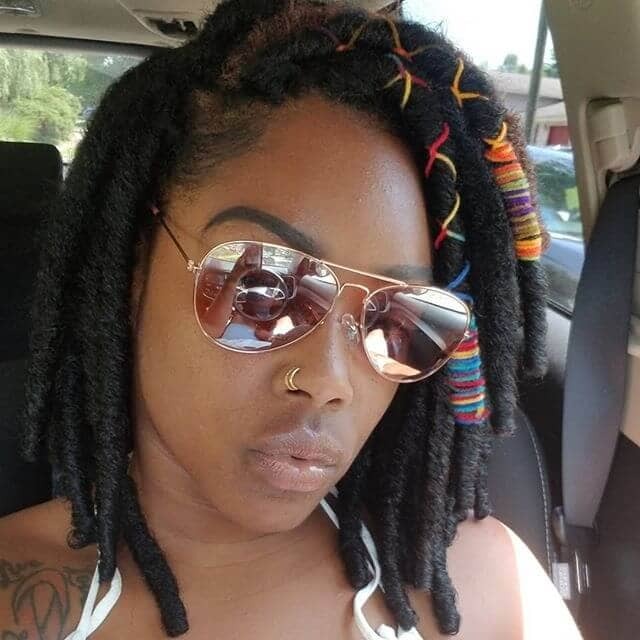 Although most black hair braids attempt to hide the natural cornrows that lend support to the weave incorporated into the style, this one gives a proud sneak peak at your natural hair. Not only does this add an edgy angle to your personal fashion sense, but also shows the effort you put into achieving the look. Black hair braids can vary in size and number, but these slim face-framing braids have an extra feminine flair to them. Their sleek and clean look gives off an aura of sophistication and confidence, making it a great hairstyle to sport professionally. This wavy crochet hair looks wild, but in a good way. 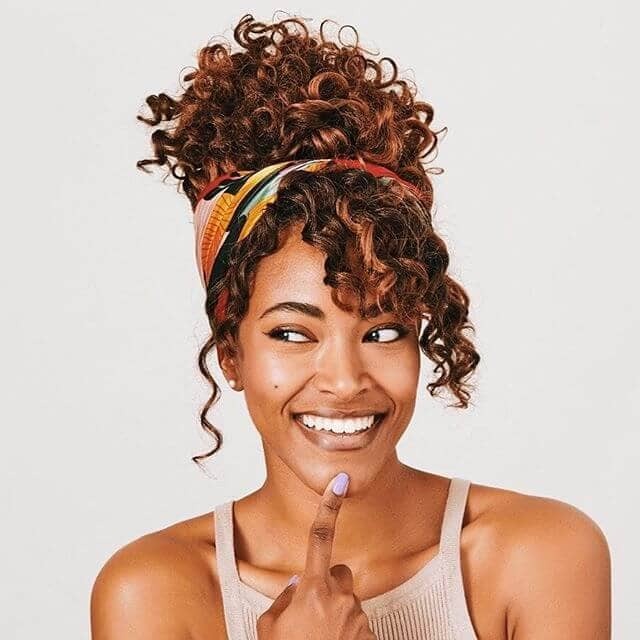 The messy, layered curls have a sporty look that will fit perfectly with a devil may care attitude and a heavy dose of confidence. They will also feel lightweight, which your neck and head will appreciate long-term. 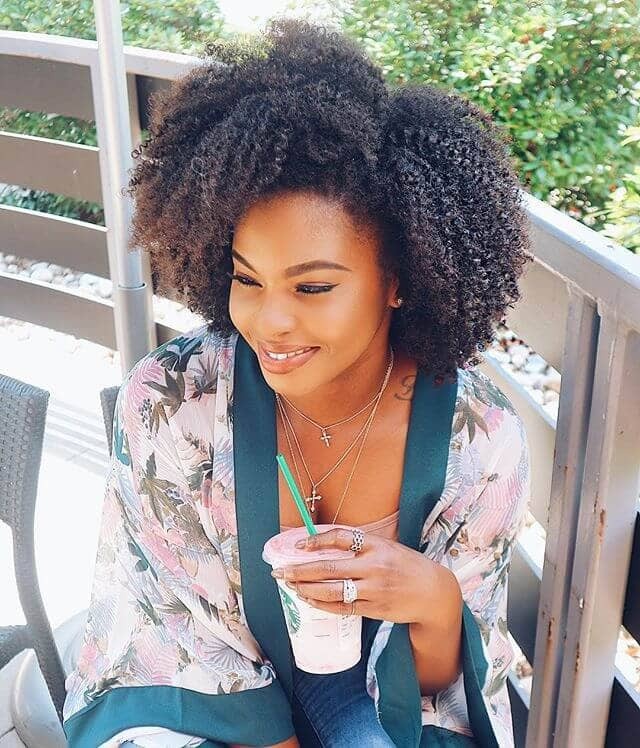 This nice crochet braids hairstyle can be pinned up into a neat bun with the help of a strong elastic band. To add more texture and depth to the hair, add in natural highlights to the tresses. This way, your hair will never look flat or boring, especially when it’s out of your face. Many women may shy away from bright colors fearing that they’ll look tacky, but this electric blue is magical and the perfect fit for the right personality. These blue highlights flatter a wide variety of chocolate skin tones and these crochet locks will definitely stand out in a crowd. The key to this look is bleaching your eyebrows a matching color to truly highlight the fierce rouge color of the dye. This example is more of an earthy red, so it’s a bit more toned down for those who like to be adventurous but also stay low key. Experiment with the different shade of reds to find the perfect one that complements your skin tone. Holographic looks have really been trendy this year and hair is no exception. This modern hairstyle works well for shorter hair lengths so that the multiple colors don’t get overwhelming. You can play around with different color schemes, whether they’re warm, cool or complementary. The colors can also be adjusted to match events, making this a great style to plan for team spirit events. Another beautiful color option, this deep wine purple is a showstopper for sure. The deep side part coupled with the Bohemian locks only adds to the dramatic effect that this style emits effortlessly. The darker shade is also less distracting, making it a more comfortable color for those who may have had an aversion to the brighter shades. This pretty hairstyle is a classic with no strings attached. Uncomplicated waves with a single accent bead, which is also optional, simply cascade down to the shoulders and flow freely with little maintenance. This is perfect for the typical girl-next-door look and flatters many face shapes. It’s yet another style that works well for those who prefer to maintain a low profile. Before you turn your nose at this style, it is important to understand that silver is different from grey. The beautiful glow from these curly braids indicates liveliness and a bold nature, quite the opposite of old age. 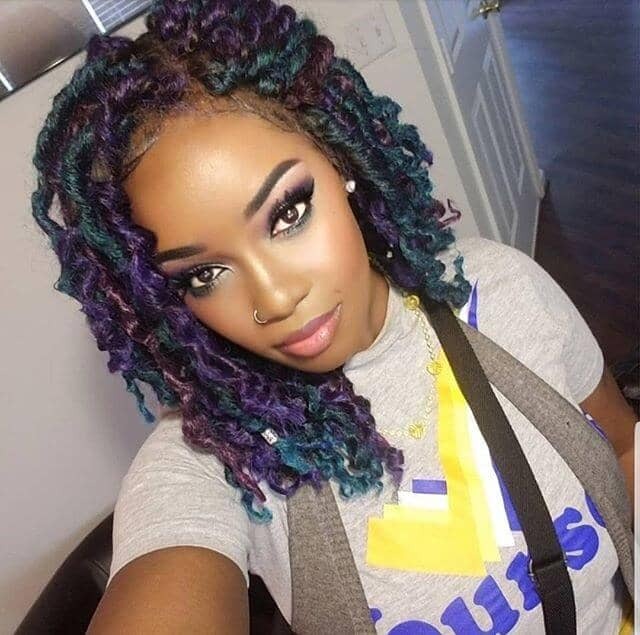 So, keep this shade in mind when you are considering color options for your crochet braids hairstyle! It’s sure to be eye-catching and worthy of many compliments. Although many people may go with natural looking dyed colors, not many consider maintaining natural roots. Dark roots can serve as a wonderful contrast to natural shades of dye, instantly adding depth to the overall look, especially with longer hair. 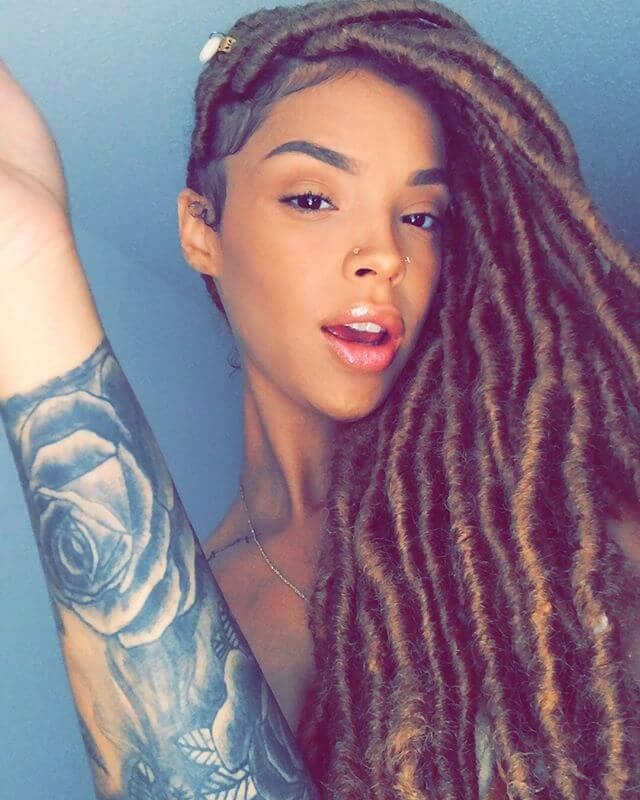 Also, you won’t have to worry about your natural roots growing in and showing if you already incorporated them into your hair from the beginning. 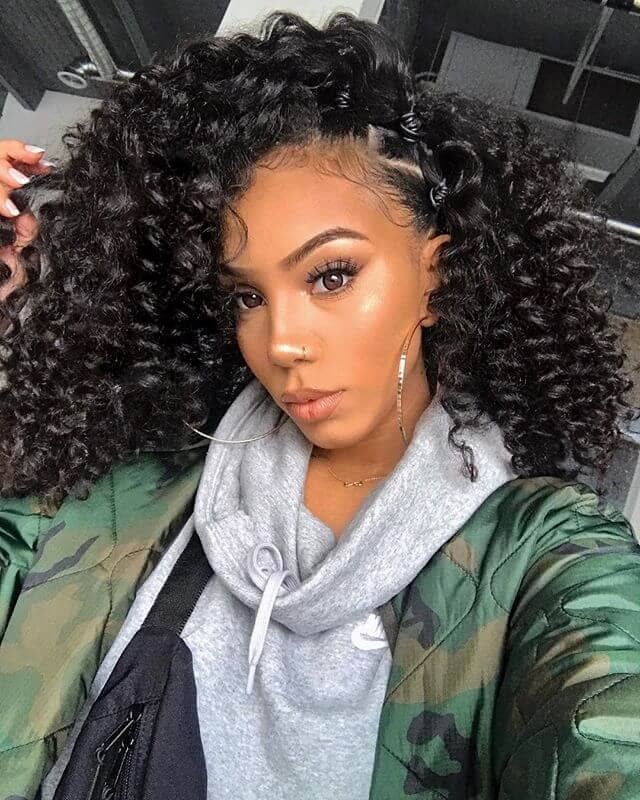 Another one of the many cute hairstyles for girls, this crochet hairstyle with curly hair fits the bill. 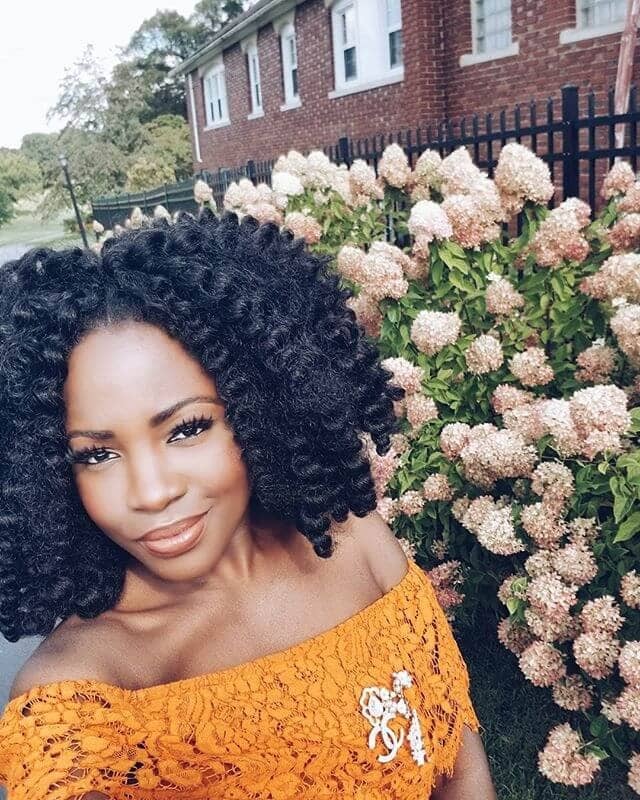 These crochet curls are simple and cute with their layered look that stops right at the shoulders. Apart from being face slimming, the bangs work to reduce the size of foreheads. So, if you’ve been self-conscious about the size of your forehead, considering covering it with bangs such as these. 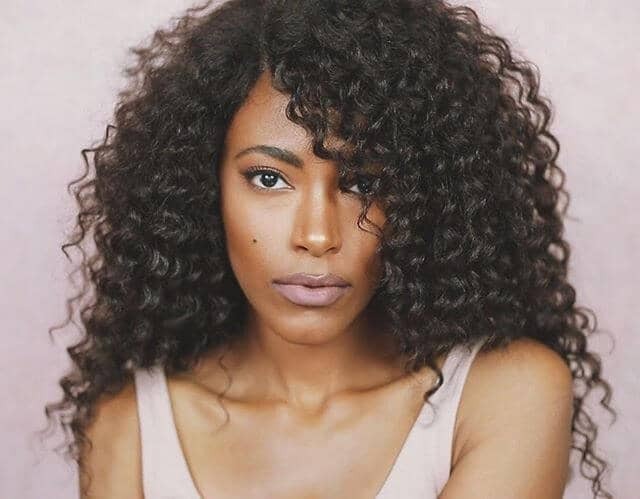 Middle parts take courage to pull off, but you’d be surprised by how many people these crochet curls would effortlessly flatter. This is a cute hairstyle that’s perfect for any simple girl who likes to maintain a low profile. Middle parts also tend to emphasize facial symmetry, increasing attractiveness. Although all over highlights are found more commonly these days, nothing has a more dramatic effect than a single streak. Whether you choose a fun color or a contrasting natural color, the streak will stand out and look edgy without the commitment of a full dye. Also, you may even be able to change the color of the streak itself according to the occasion, giving you more freedom to change the look of your hair often. Not many people consider the idea of face-framing bangs with this hairstyle for women. But these bangs look amazing whether your waves are tucked away or left down. Magenta is a warm color that easily complements caramel skin tones. Add in contrasting beads and you’ll be the center of attention but in a good way. 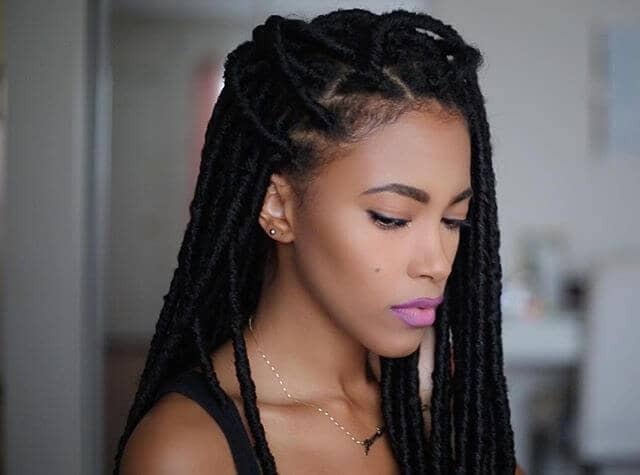 These cute twists are sure to bring out the best in you. 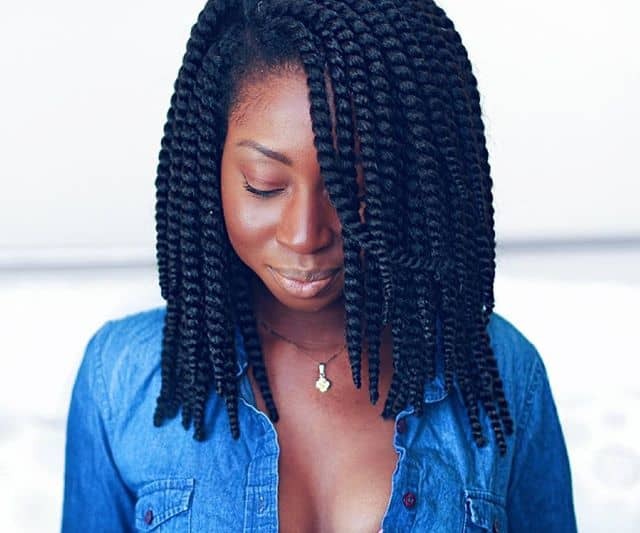 A cute easy hairstyle to do since the larger the twists, the less you’ll have to do. 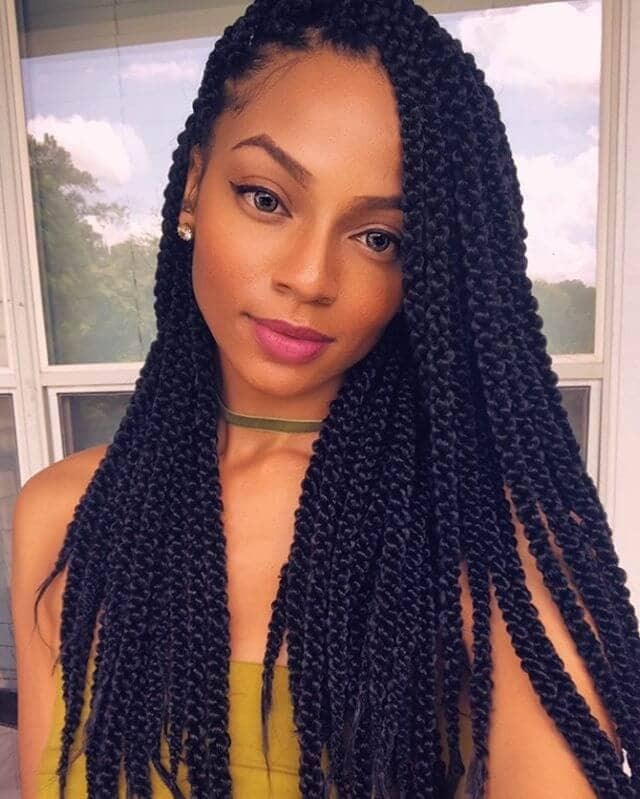 These black hair braids are a classic style and the exposed cornrows add an interesting touch to an otherwise basic look. 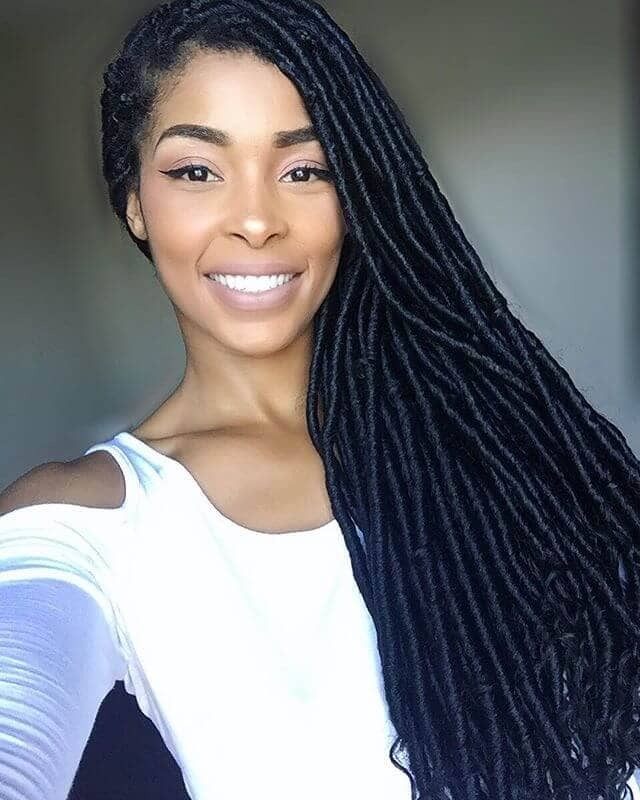 Long braids hairstyles are common, but the exposure that results from pulling them back doesn’t flatter every face shape. This method works best for slimmer faces, such as diamond and heart shapes. However, don’t be discouraged from this style even if you have a rounder face. 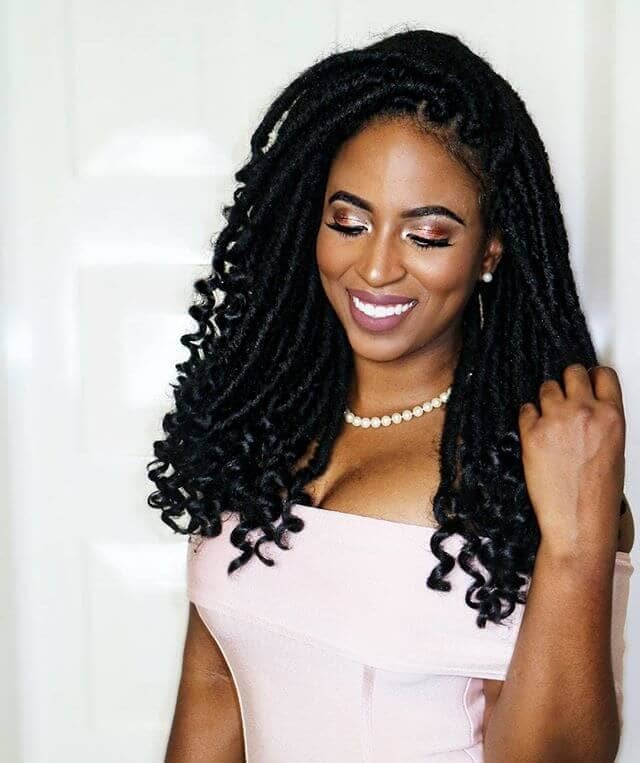 Another classic in the list of long braids hairstyles, this is adorned with pretty beads add texture and accentuate the sheer number of braids that add volume to the entire look. Although the long length can make this a heavier style to carry, the weight is worth it. 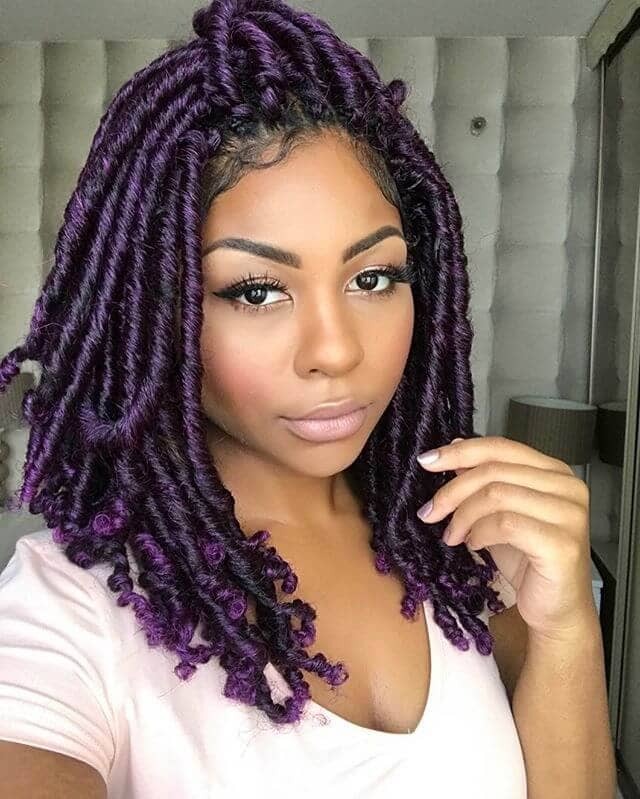 If you’re not comfortable with a full-on dye, incorporate two different colored weaves into your box braids hair to achieve this subtle look. The second color, another natural shade, works well to accent the black without overpowering it. This is also a great option for a short crochet hairstyle. The classic hairstyle for women with an added twist, any accent color can be added to make this one pop. The purple here is amazing, but even a slightly more toned down dye would have the same effect. 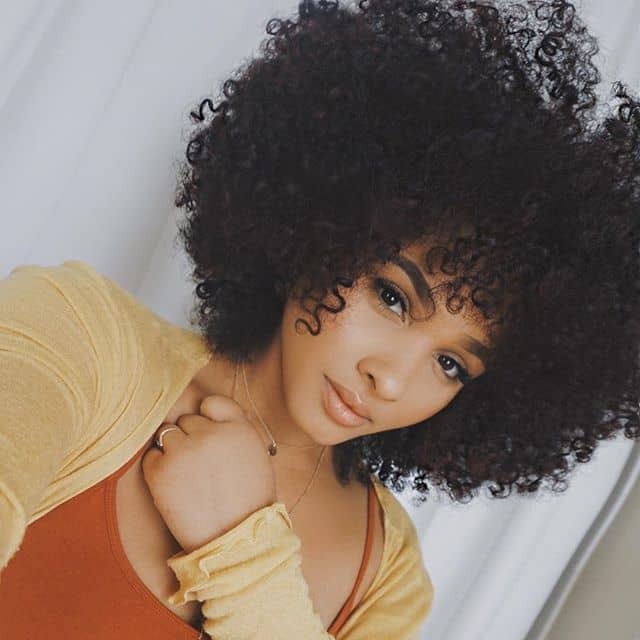 A style that can even be achieved with your natural hair, this adorably pretty Afro is perfect for women on the go. Not only does it perfectly frame all face shapes, but it’s also a display of natural pride. This is also a perfect look for all occasions and can be dressed up or down. 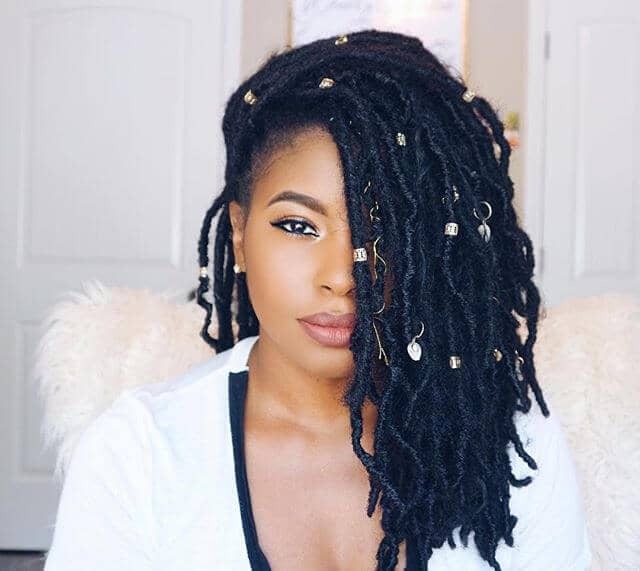 These large twists are sure to impress anyone due to their sheer volume. The beads add to the effortlessly fierce look. However, you should be aware of the weight that the hair will hold. The larger the twists, the heavier the weave used to make them. These exposed cornrows peak through the corner of an otherwise curly and relaxed Afro. Perfect for those who prefer an edgy or sportier look, this low-maintenance style will withstand hours of endurance and stay out of your face. The red color only elevates the cool look. 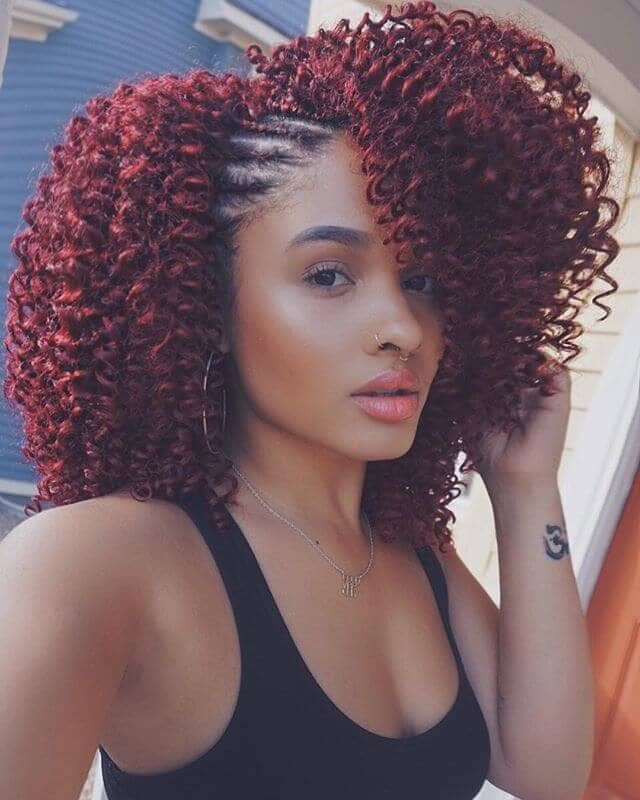 This is a great crochet hairstyle with curly hair. 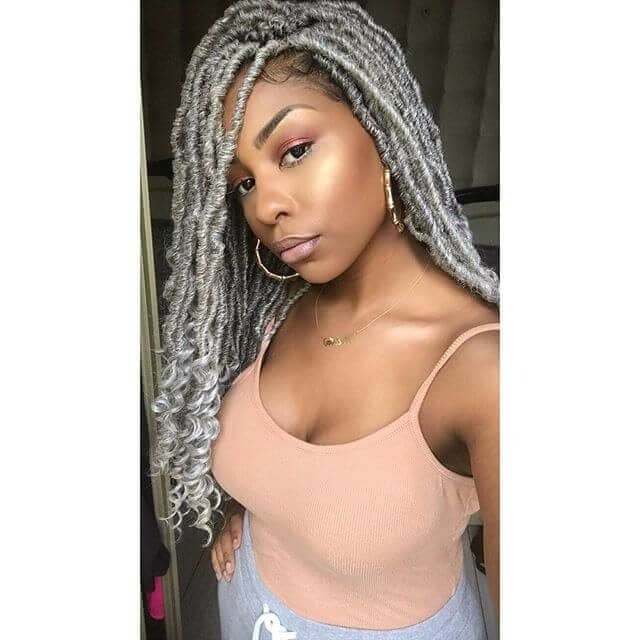 Another crochet hairstyle in the color silver, the free ends lead way to a more relaxed look. This is one of the many cute hairstyles for girls that you should consider for a more youthful look. Another cute easy hairstyle, this one relies more on the placement of hair accessories rather than the twists themselves. This is one of the many hair ideas that start with a plain base and then elevates the style with colorful hairbands, which are a safe way to introduce color to your hair without commitment. This cute hairstyle has a playful look to it with its bob length and messy curls. If you’re into the tastefully messy bedhead look, then this one is for you. Whether you’re going for a chill look or wanting to look more casual regardless of the situation, this Afro blends in effortlessly. Another color that not enough people experiment with, blonde pairs well with a wide variety of skin tones. Even within blonde, there are numerous tasteful shades. Leaving your roots their natural color will add another layer of depth to this pretty hairstyle. This is another one that will make you stand out in a crowd. These curly braids are effortlessly relaxed and voluminous. The length leads way for perfect face framing. The copper highlights add an awesome pop of color to an otherwise simple look. 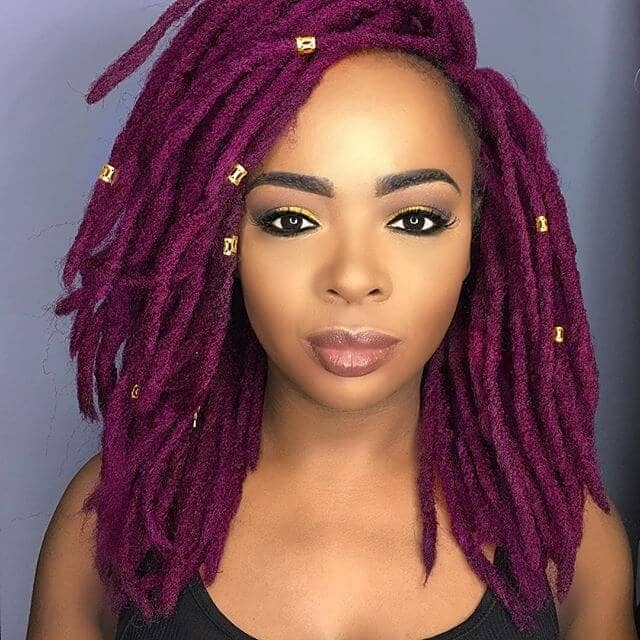 For those who don’t want to go with a full-blown color, these purple highlights offer a more toned down option while still being an eye-catching and vivid color option that strays away from the usual neutral tones. As always, purple can be substituted with any other color that you’re comfortable with. 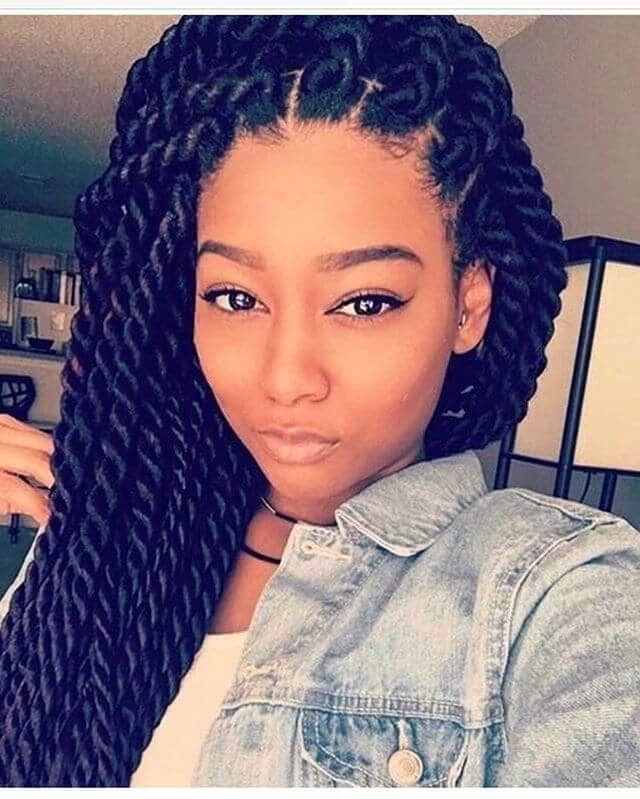 These braids look more complicated than they are to achieve, making it a great look for those who like to appear high maintenance, but without the effort. The intricate pattern instantly adds depth to your hair, making your twists appear as if they are dancing with every movement. These classic twists are elevated with a dramatic side-swept look. The natural colored highlights add more volume to the look as they stand out against the dark-colored weave. They’re perfect for a cozy vacation where you can spend more time relaxing and less time getting ready. An ombre look works well for any colors and looks exceptionally good with this lovely shade of pink. The loose ends add to the effect as the pink merges together freely and give off a bold look. The longer your hair, the better the ombre effect works. People will be tracing their hair with your eyes as it cascades down your back. 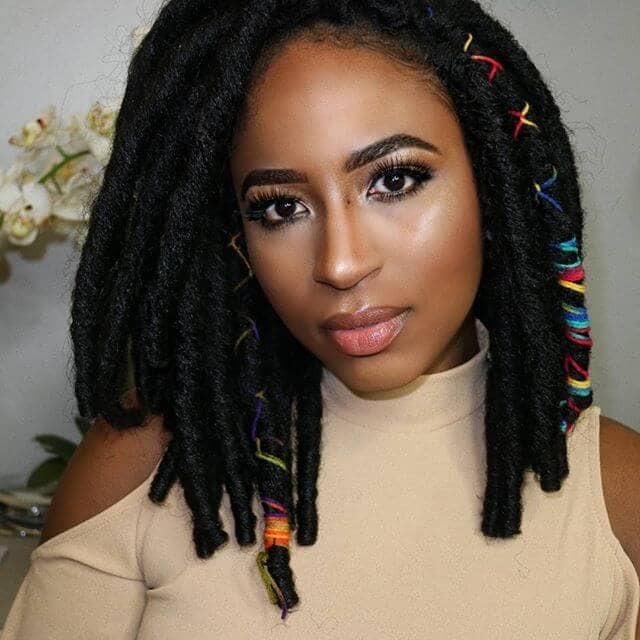 These simple crochet twists maintain their tight turns all the way to the ends of the hair, presenting a clean and complete appearance. 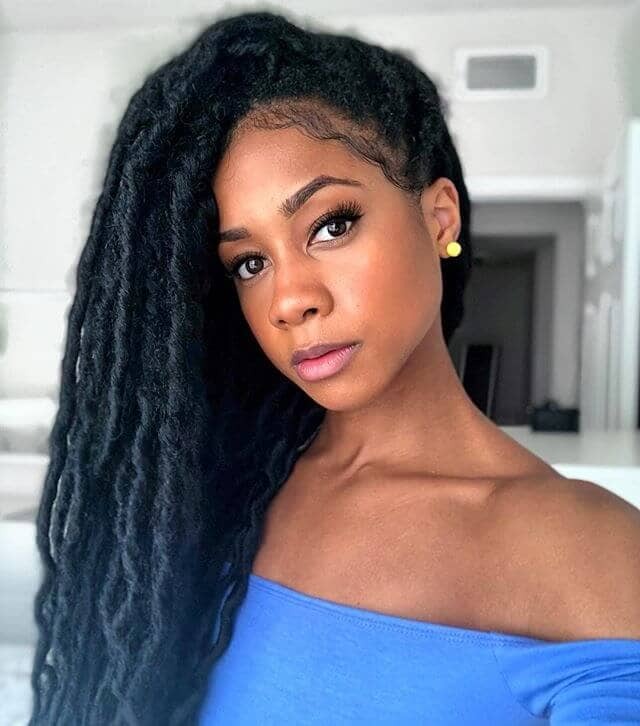 This style also prevents the risk of having your twists come undone due to free ends that can snag or fall apart under pressure, allowing these twists to last longer than usual. Another example of temporary color in hair, these colorful bands can be customized to match your personal preference. 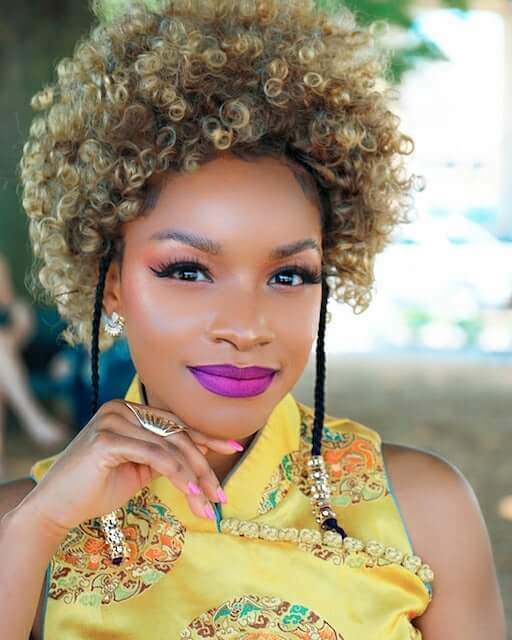 Whether you want bands that are all the same color or want your hair to taste the rainbow, these are a perfect way to add some flair to otherwise dull or natural colored hair. In addition to hair bands, you can add little charms in your hair to accessorize it even further. 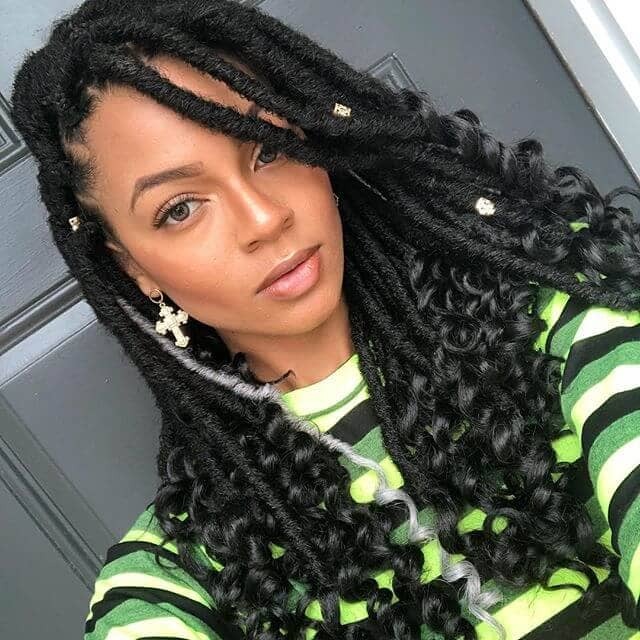 To add a mesmerizing sheen to the overall look, consider adding coconut oil or any other natural oil to moisturize the twists. Certain weaves also have shinier finishes to have a more permanent luster. Another laidback look, these frizzy yet voluminous curls are as natural as the look gets. Add a natural colored dye at the ends for a more textured appearance and this simple do is ready to chill in a pair of sweatpants or dress up for a night out on the town! This quirky bob is all sorts of fun, especially in blonde. The bangs add a sassy look to the entire style that flatters any face shape and completes any diva personality. 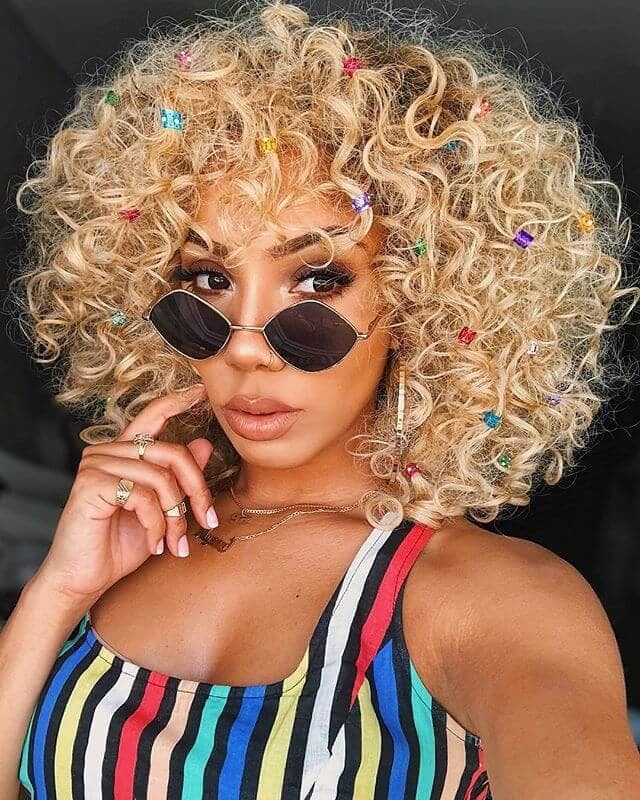 This curly crochet hair is bound to bounce with attitude with each and every step while casually turning heads effortlessly. 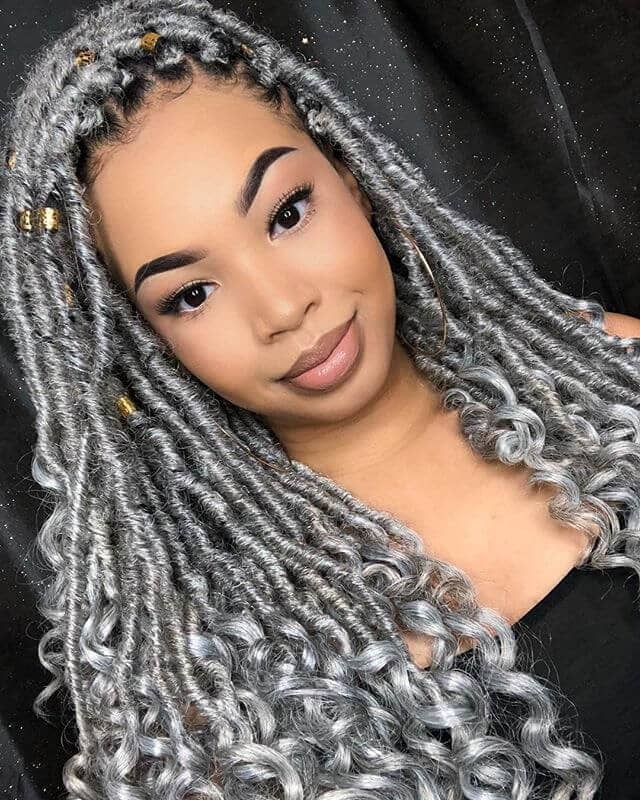 The curly ends on these silver tresses add volume to an area that most hair lacks character in. The curls at the ends help to balance the voluminous look of the overall style rather than having all the focus in the upper parts. This will become more noticeable when the braids are pulled back into a ponytail. This layered hair does wonders for more face shapes, especially in the slimming department. With the longer layers on the bottom and shorter at the top, the overall size of the hair appears to be voluminous. A middle part only accentuates the layers and emphasizes facial symmetry. 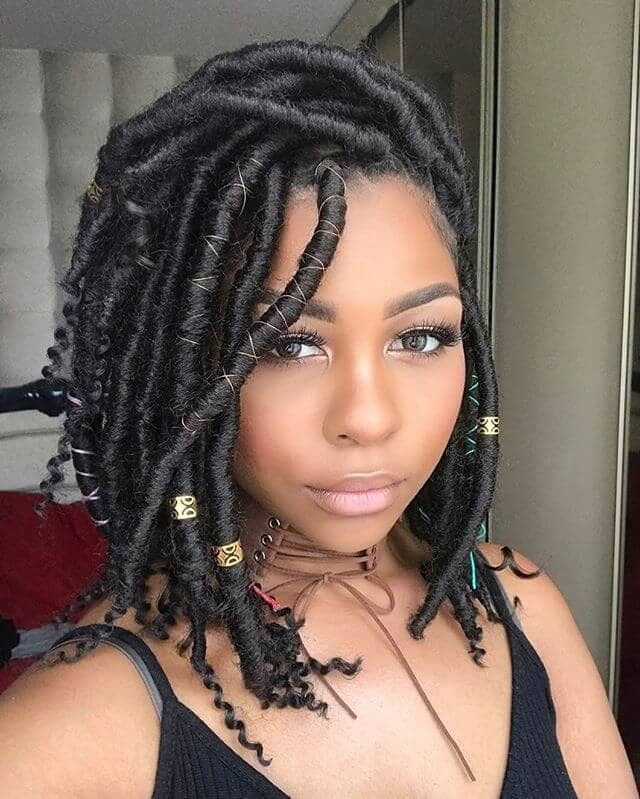 These partially plaited locs of hair are left loose with halfway to the bottom, making for an interesting style due to the variety of textures and volumes involved. The side part incorporates a layered appearance to the hair and only dramatizes the thickness of the beautiful and sophisticated look. These classic twists are dramatically swept to the side for a romantic look. 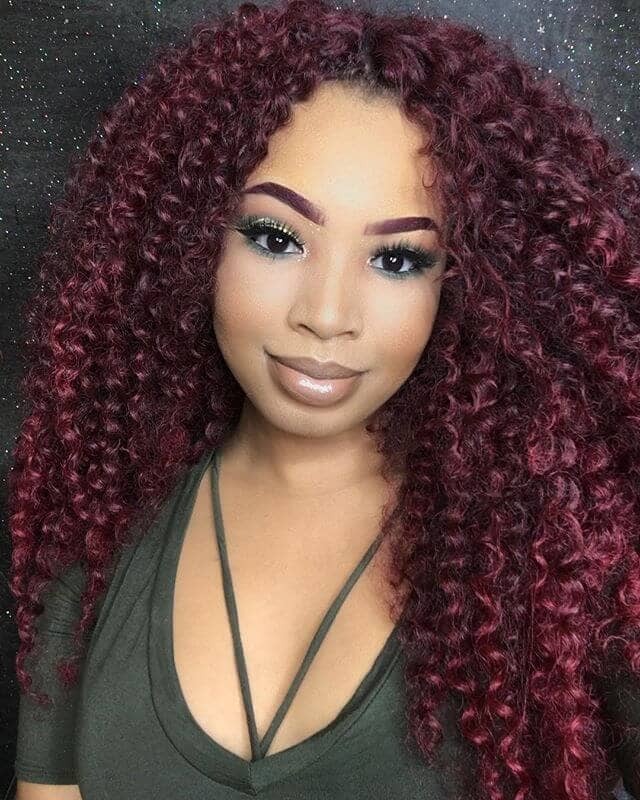 This would be perfect for a date or formal event, allowing you to showcase your voluminous hair while also exposing your jawline and collarbone. Just be aware of the imbalance in weight supported by your neck, especially with longer hair. 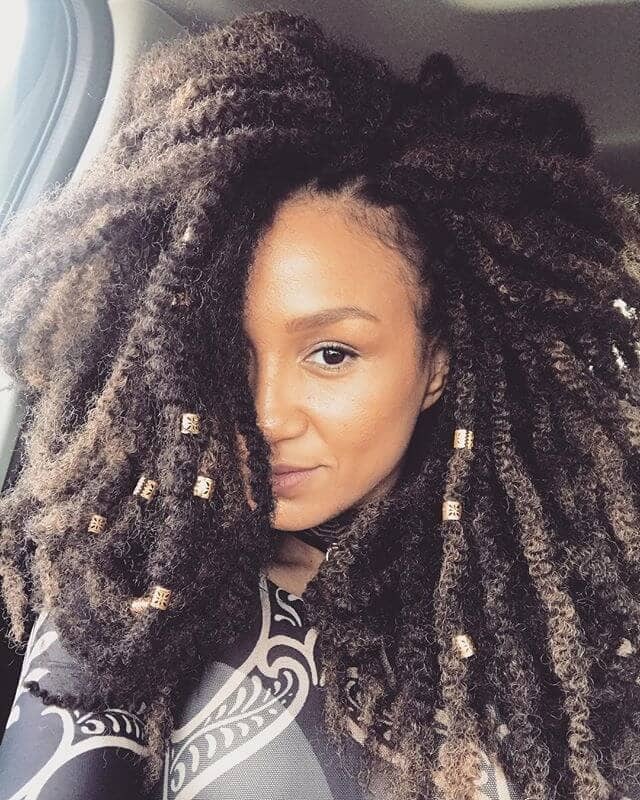 These partially completed twists beg for more attention as the curls cascade over the shoulders. Add more depth to this style by incorporating accent beads and a colorful streak that will really pop against the black canvas. 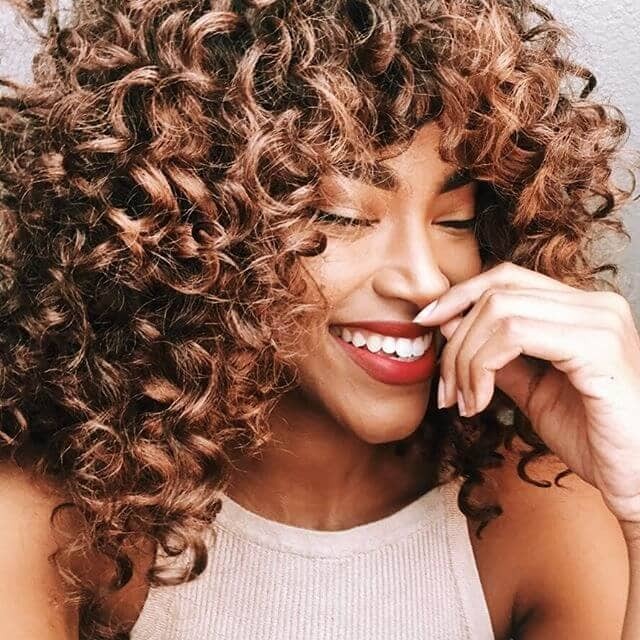 If you can’t decide between tight twists or loose curls, this is the perfect compromise hybrid hairstyle. These uniform twists exude professionalism in all manners, making this a cool look for any career woman. 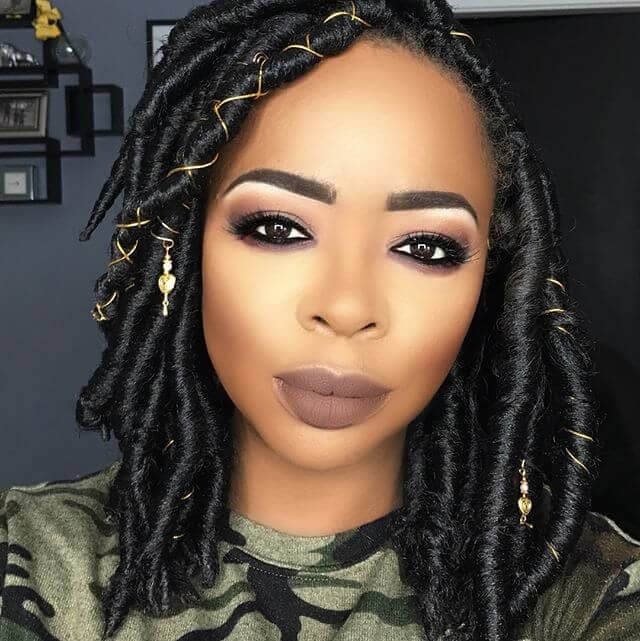 This is also good for anyone who dislikes spending too much time on her hair since these twists will always naturally fall into place without much hassle. 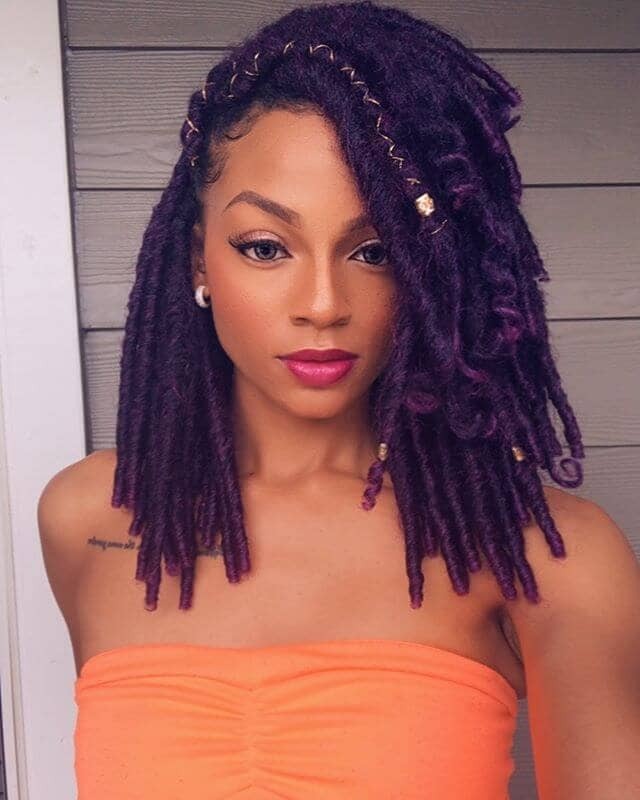 These large twists sport a single color right up until the ends, adding an instant pop of color and depth to the overall look. You can also notice this particular example shows how you can take the creativity a step further by stringing in a golden bead and colorful band around one of the ends. 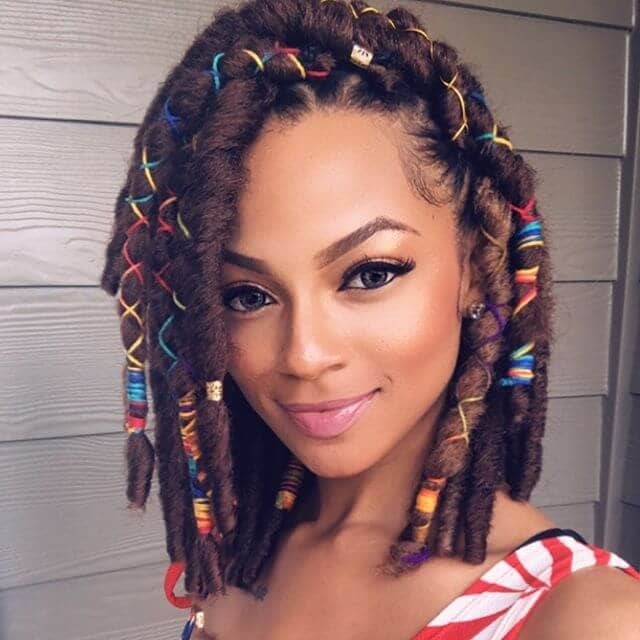 This is another wonderful example of a simple look that is elevated with the use of colorful bands around individual twists. 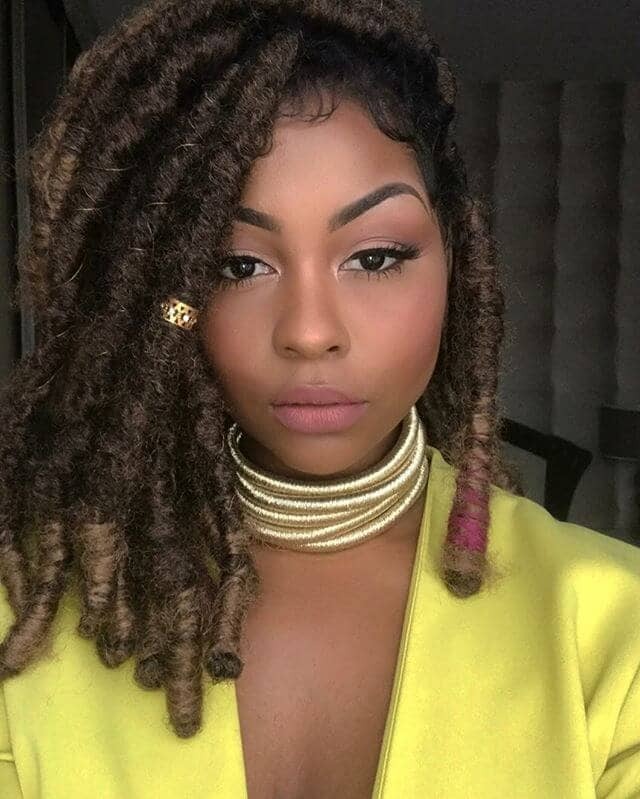 Whether you choose to highlight just one of your twists or expand the color to multiple, these bands are a quick and easy way to brighten up your hair. Now that you have an idea of where to start and kinds of crochet styles that are available to you in 2018, it’s time to figure out what exactly you’re looking for with these. Start freely experimenting with this simple yet modern hairstyle! Get opinions from a stylist when it comes to choosing the best length and color for your face shape and complexion so that you can achieve the most flattering look. Regardless of which particular style you choose, its bound to flatter your face and have awesome results. Best of all, your hair will be low-maintenance, saving time, money and energy.